Nearly 400 people were killed when a textile factory near Dhaka collapsed. It's the worst disaster in the history of clothing manufacturing. How much blame do consumers deserve? A worker at the site of the garment factory building that collapsed near Dhaka, Bangladesh, on April 29, 2013. The collapse of a factory building near Dhaka, Bangladesh, which killed at least 362 people, is almost certainly the worst accident in the history of the garment industry. It’s worse than the Triangle Shirtwaist Factory fire of 1911 that you learned about in American history class and which helped lead to legislation requiring improved factory safety standards. It’s worse than the 1993 Kader Toy Factory fire in Bangkok, which killed 188 people, nearly all of them women and teenage girls. It’s worse than the Ali Enterprises Factory fire in Karachi, which killed at least 262 people — and which I’m guessing nearly all of us had forgotten about, or never knew it occurred, even though the disaster happened only eight months ago. Bangladeshi officials are still investigating the causes behind the factory’s collapse on April 24, although Sohel Rana, the building’s owner, was arrested over the weekend as he attempted to flee the country. There’s no shortage of possible reasons — building codes in Bangladesh are too rarely enforced and corruption in the country is rampant. Nor, sadly, are such disasters rare. A major fire in a textile factory in Dhaka killed over 100 people just last November. While thousands of Bangladeshi protesters have taken to the streets in the wake of the building collapse, and the political opposition has called for a national strike on May 2, there’s little hope that the catastrophe will be the last that the country’s garment workers suffer. 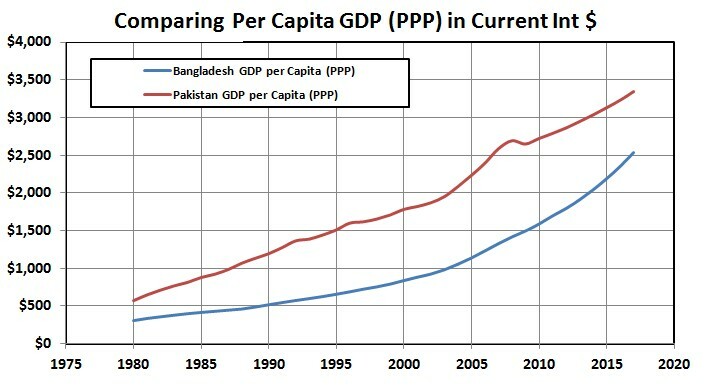 Bangladesh is a lot poorer than the United States, and there are very good reasons for Bangladeshi people to make different choices in this regard than Americans. That’s true whether you’re talking about an individual calculus or a collective calculus. Safety rules that are appropriate for the United States would be unnecessarily immiserating in much poorer Bangladesh. Rules that are appropriate in Bangladesh would be far too flimsy for the richer and more risk-averse United States. Split the difference and you’ll get rules that are appropriate for nobody. The current system of letting different countries have different rules is working fine. American jobs have gotten much safer over the past 20 years, and Bangladesh has gotten a lot richer. Yglesias was raked over the coals by, as he put it in a later piece, just about the entire Internet. (This one was particularly good.) Yglesias was guilty of, at the very least, bad taste — the economic wonkery can wait until the dead have been counted. He makes the neoliberal point, just as the sweatshop defenders did during the Nike Wars of the 1990s, that Bangladesh’s low, low cost of doing business has helped the country take needed textile jobs — including from China — and build an $18 billion manufacturing industry. But there’s a difference between accepting that workers are being paid sweatshop wages to make our incredibly inexpensive clothes — the minimum wage is $36.50 a month — and accepting that they must labor in deathtraps. And they do: according to the International Labor Rights Forum, an advocacy group in Washington, more than 1,000 Bangladeshi garment workers have died in fires and other disasters. International retailers can do more to advocate safer standards at textile factories that manufacture their wares, in Bangladesh and elsewhere. Customers can do their part by putting a little pressure on their favorite brands, though that would require placing as much value on the cost of a life as you might on the cost of a T-shirt.